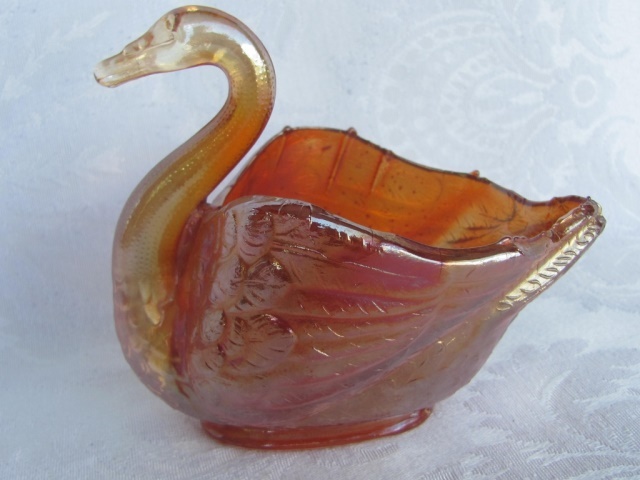 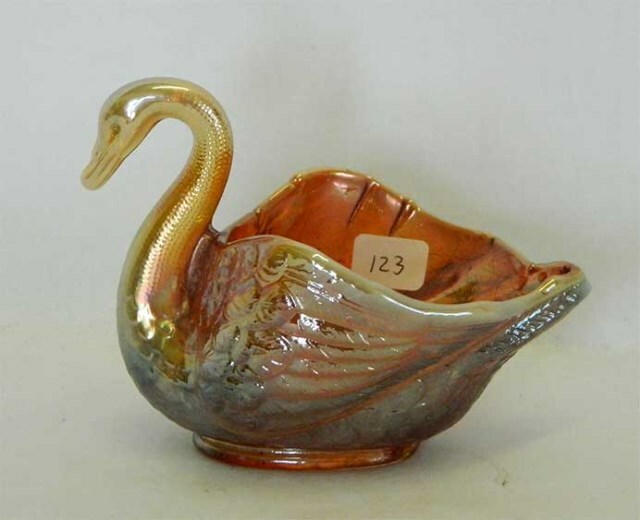 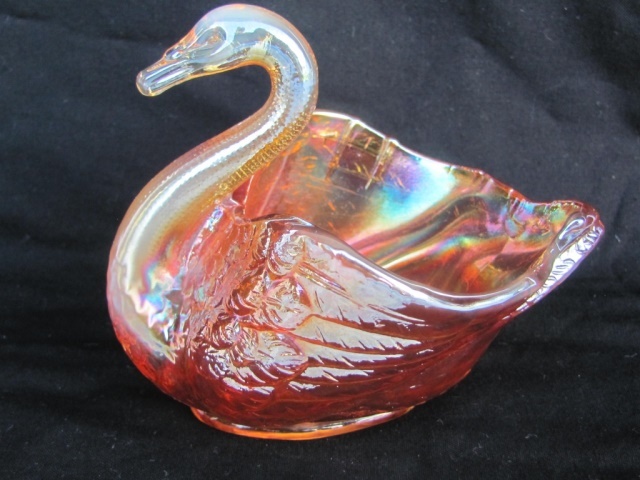 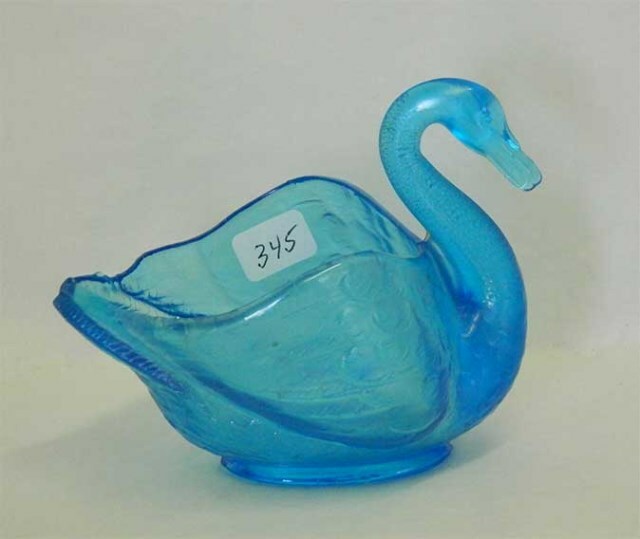 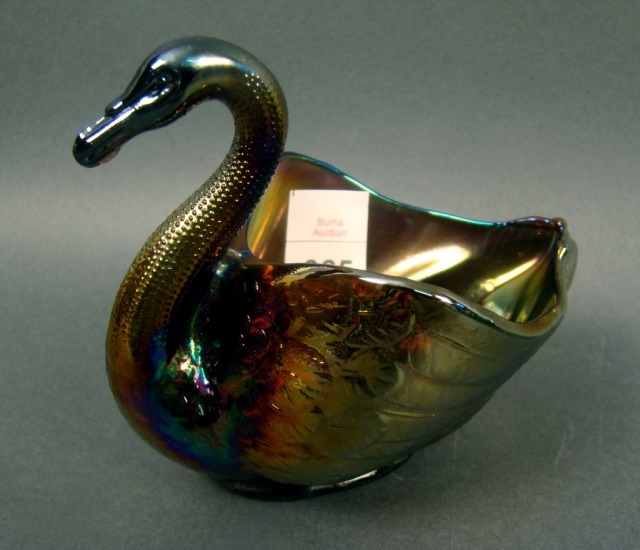 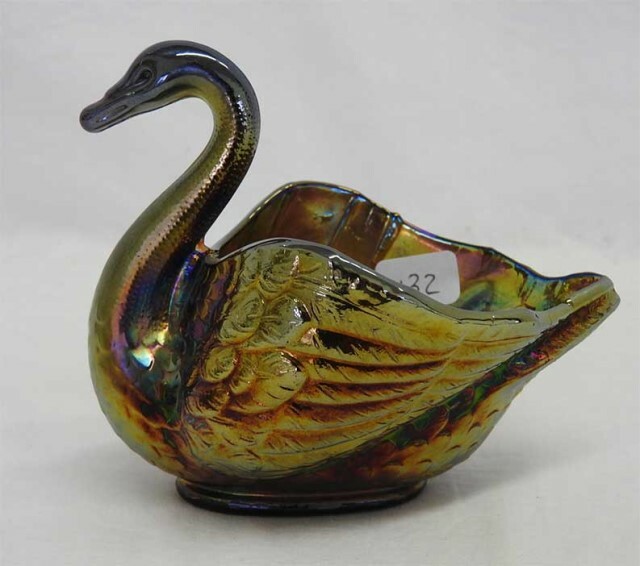 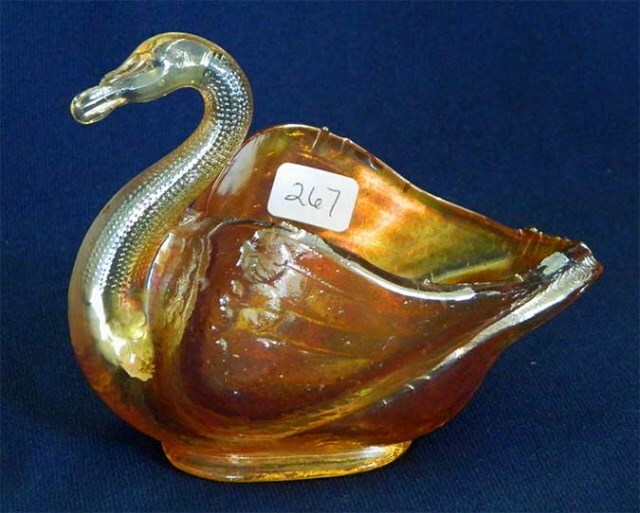 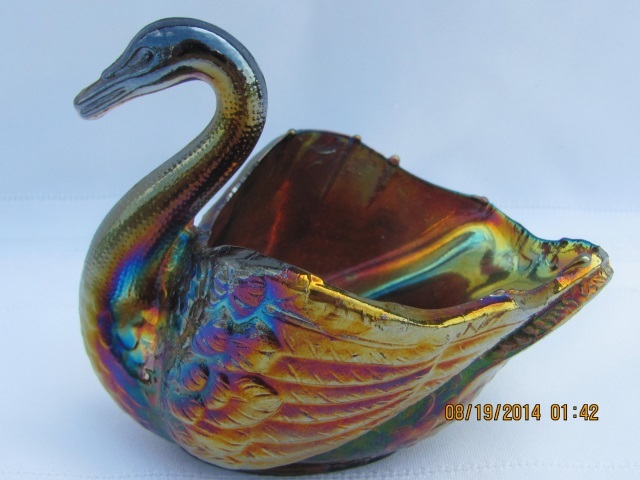 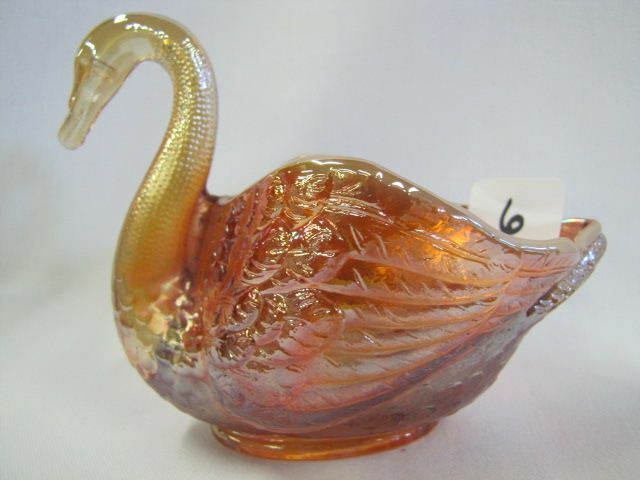 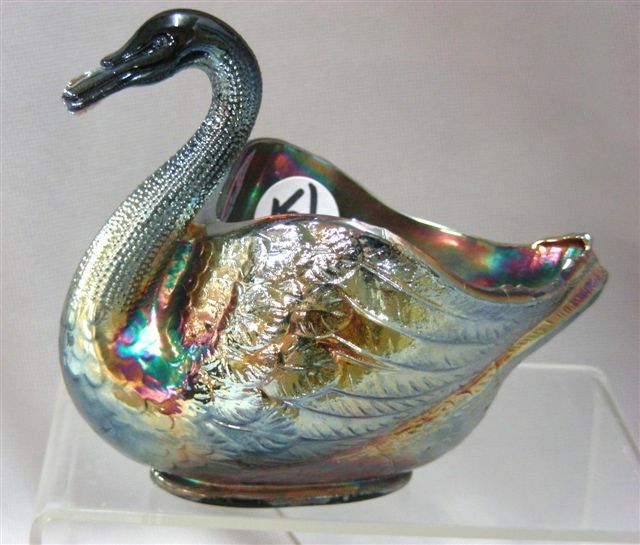 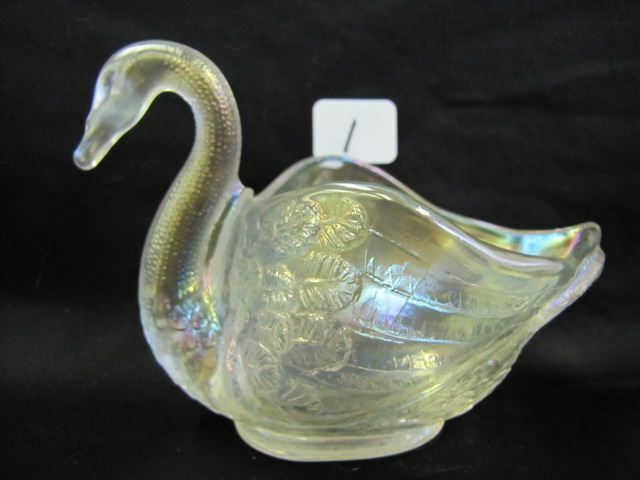 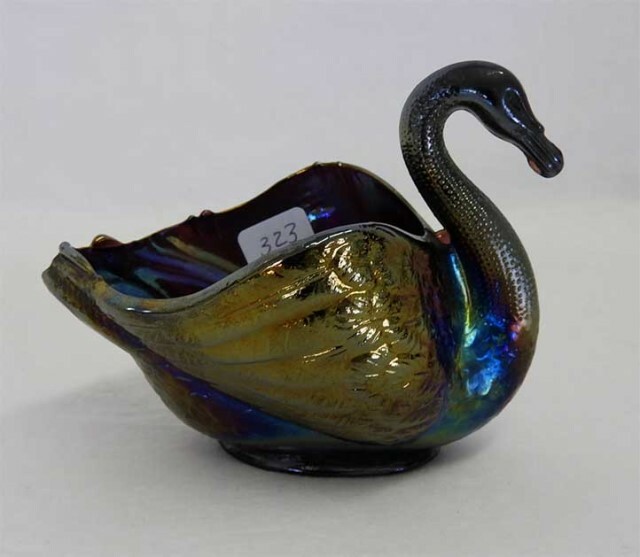 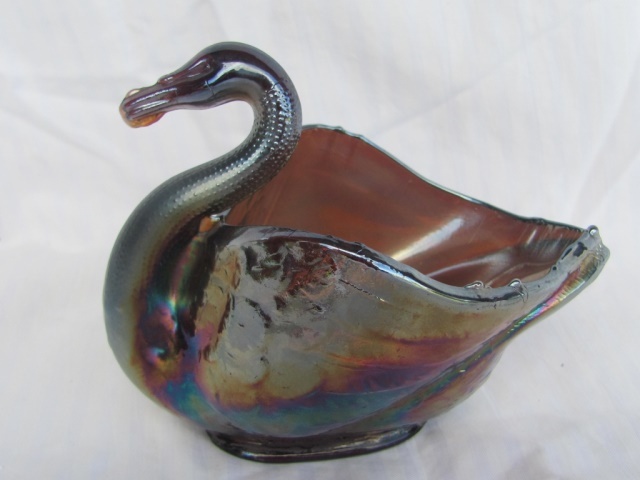 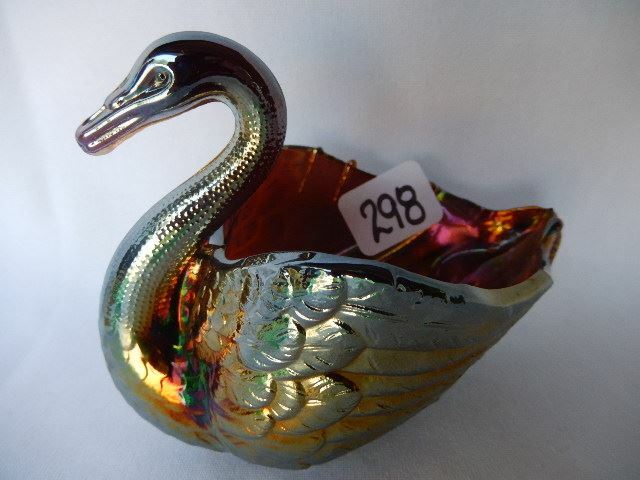 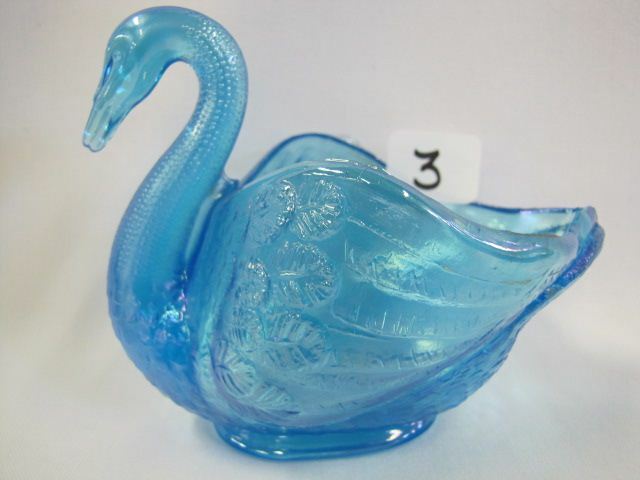 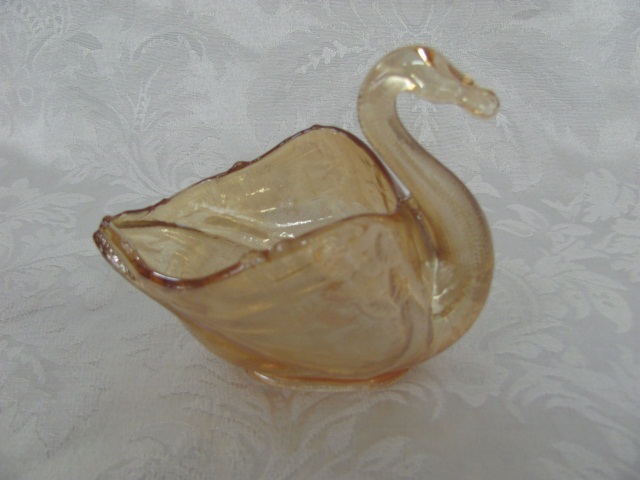 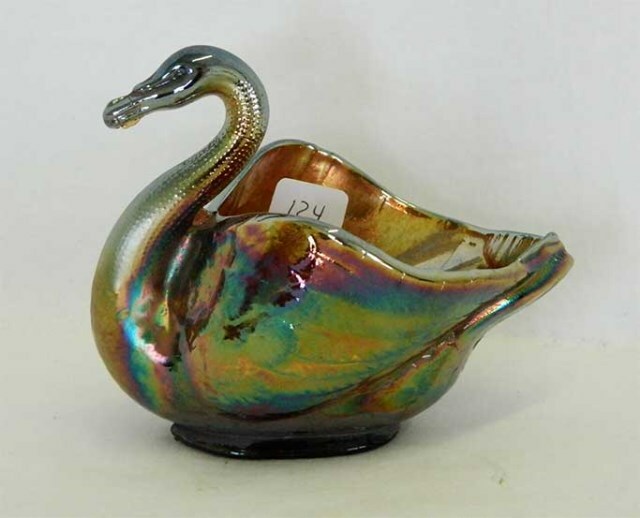 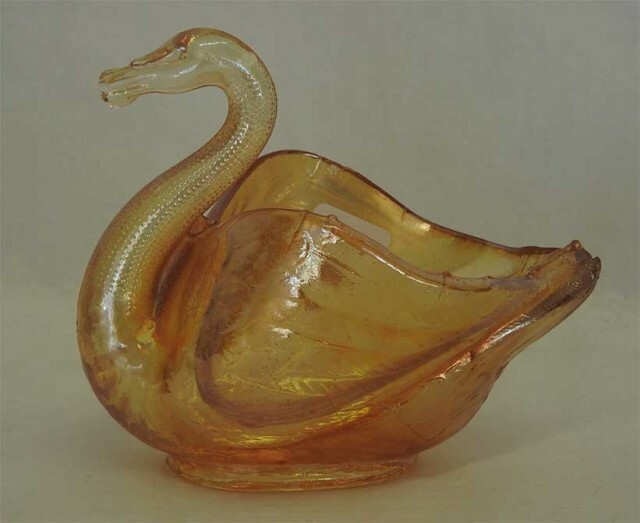 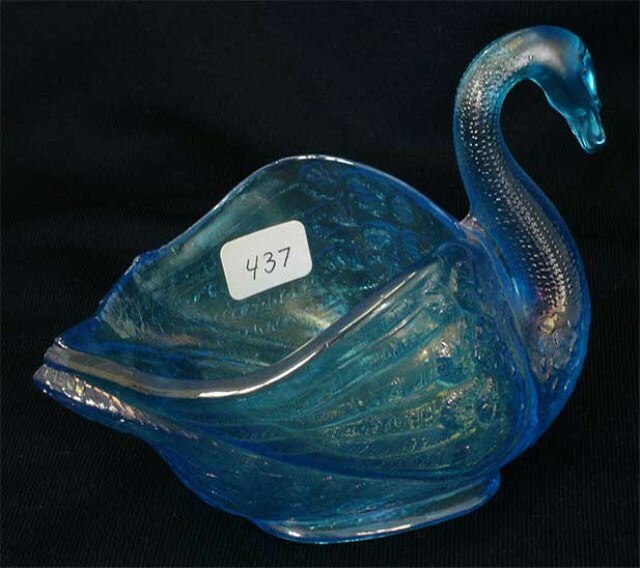 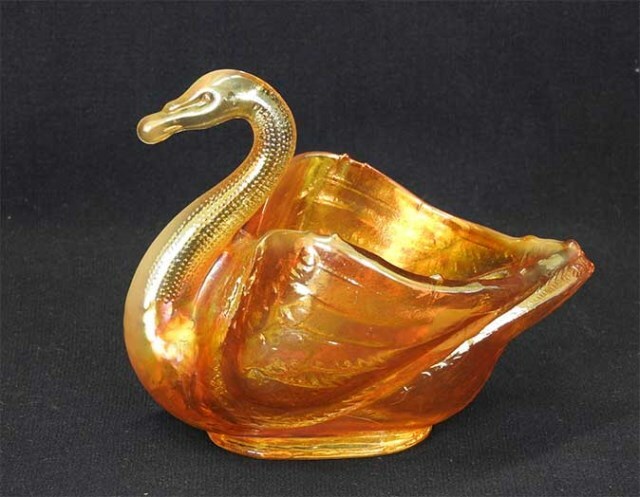 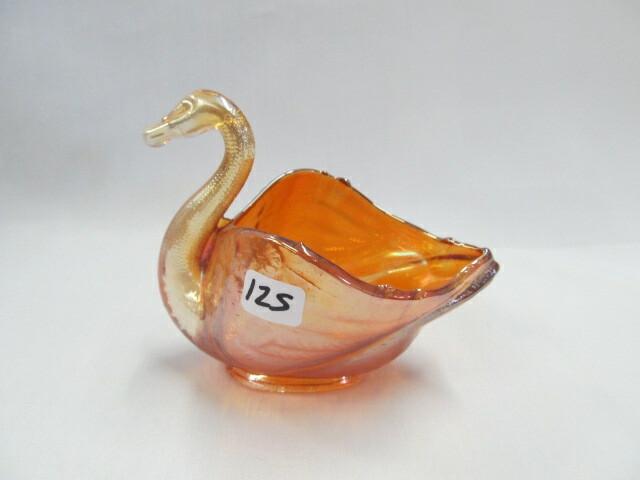 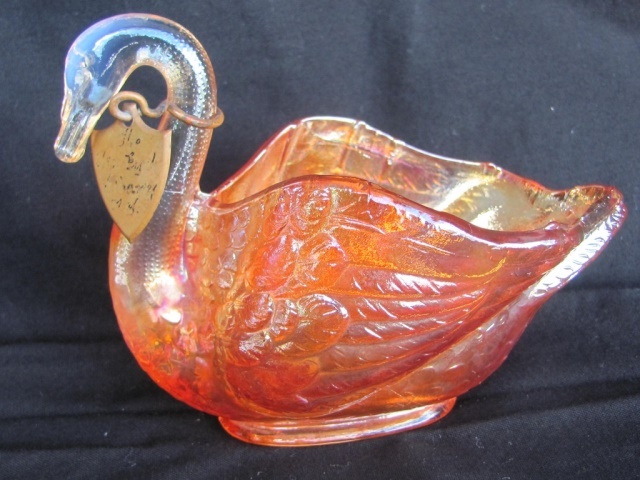 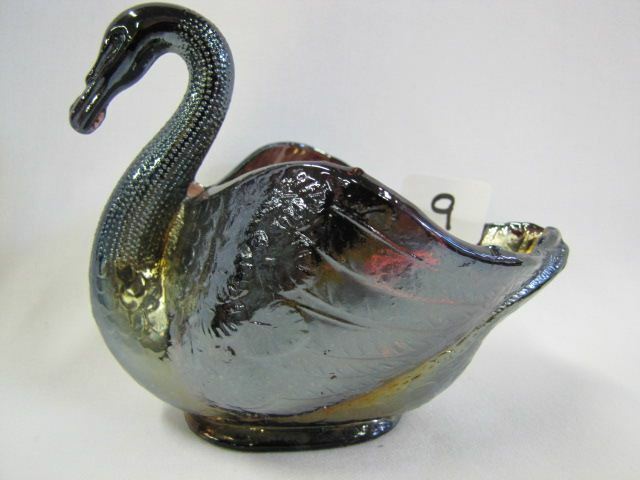 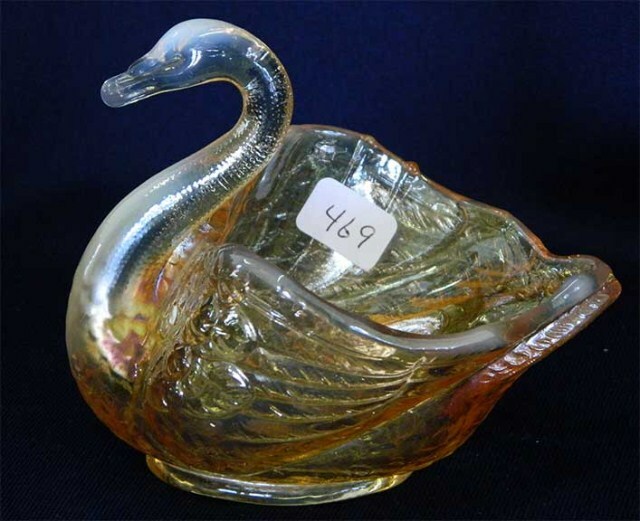 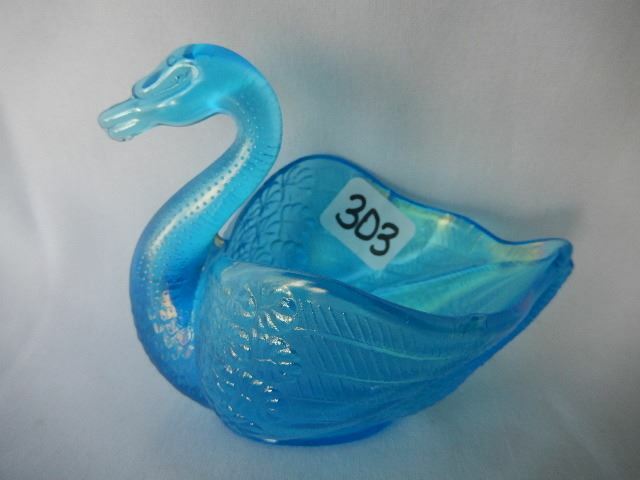 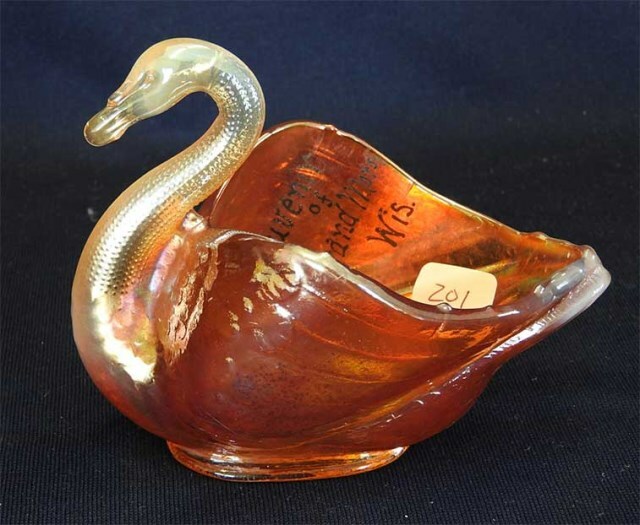 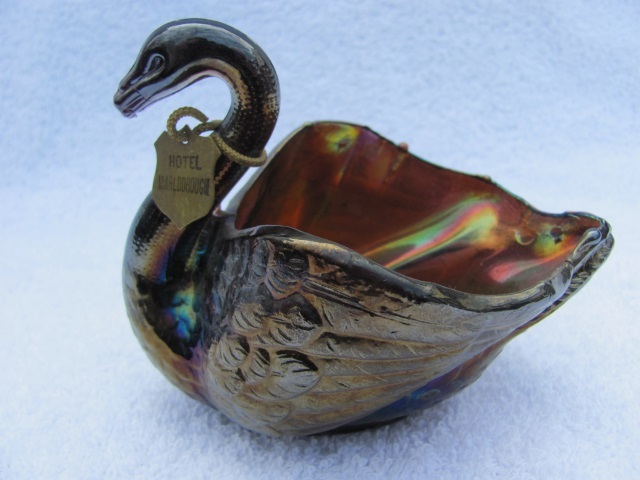 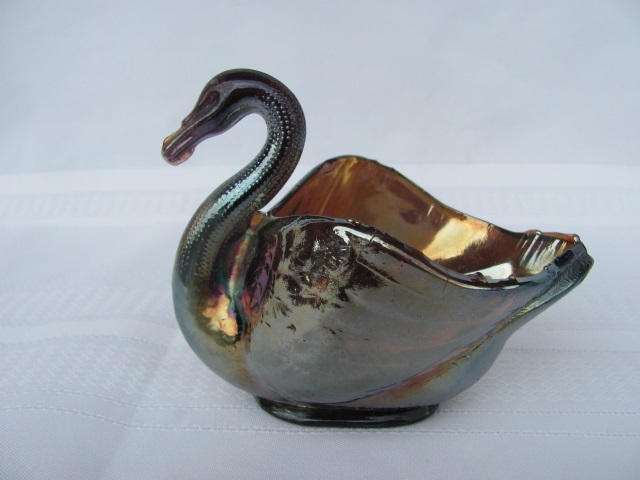 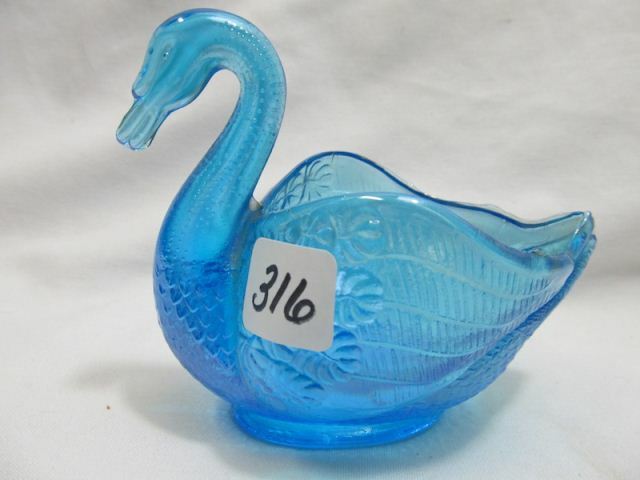 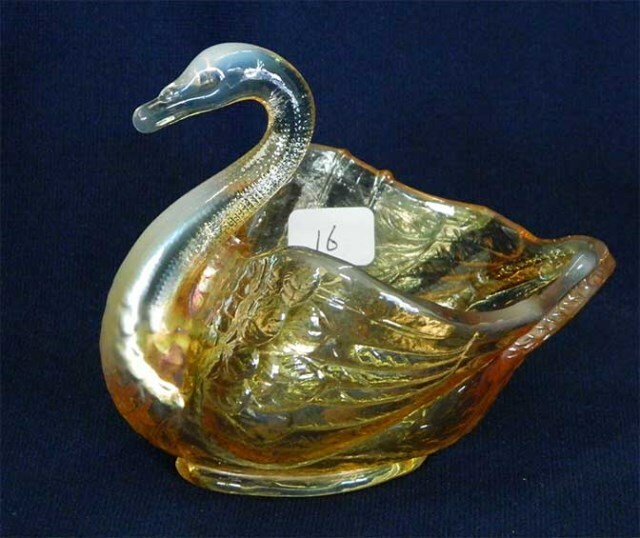 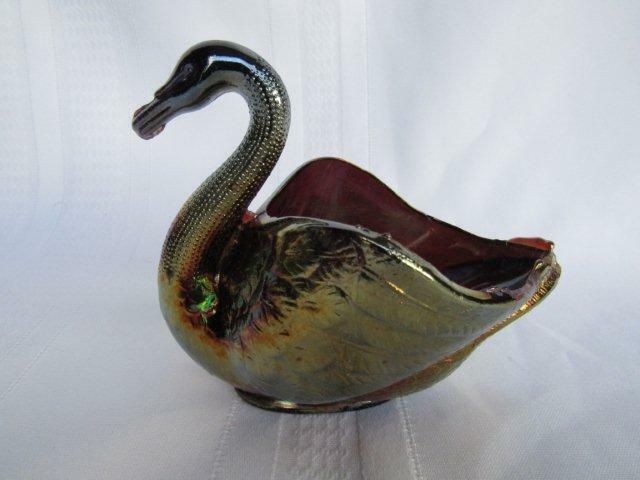 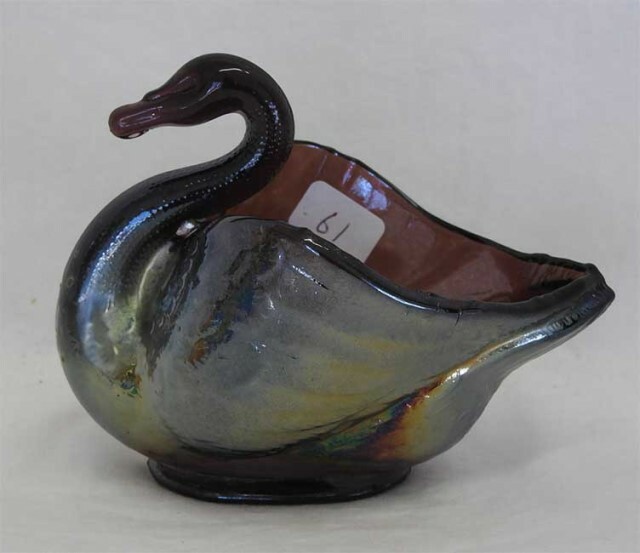 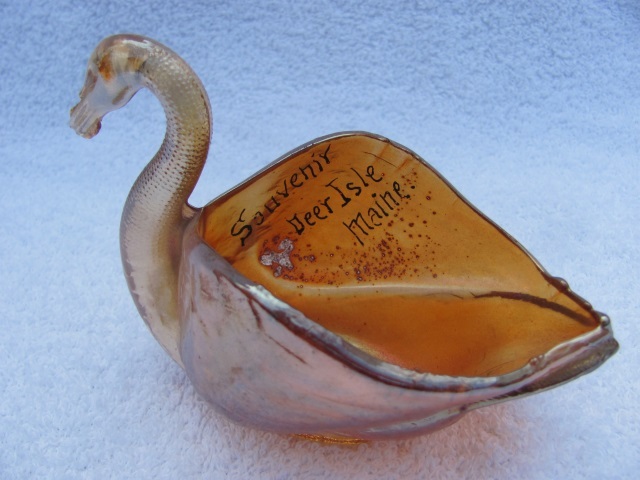 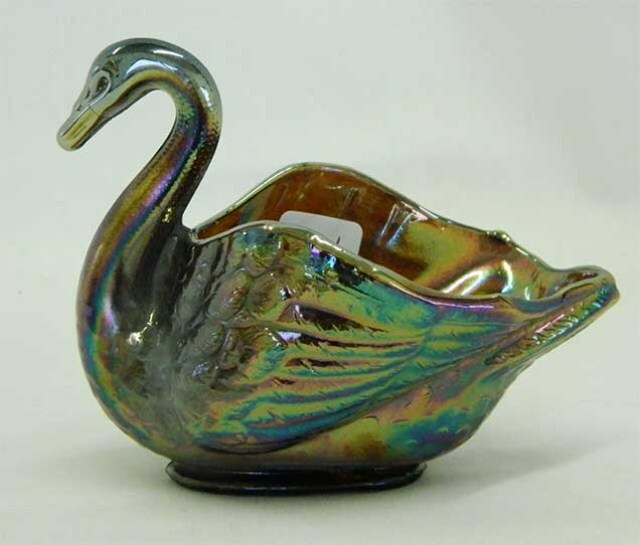 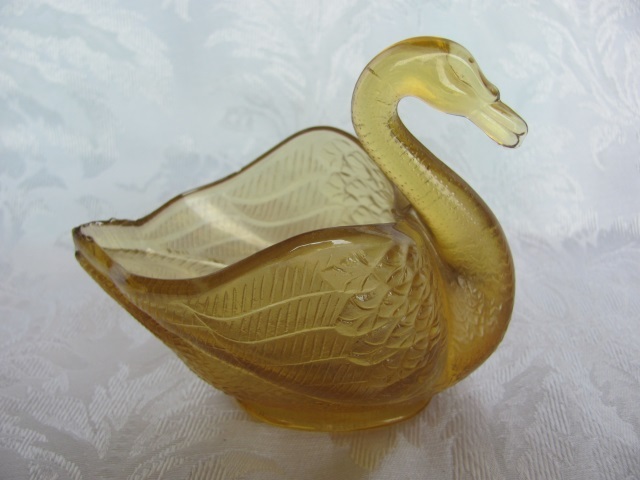 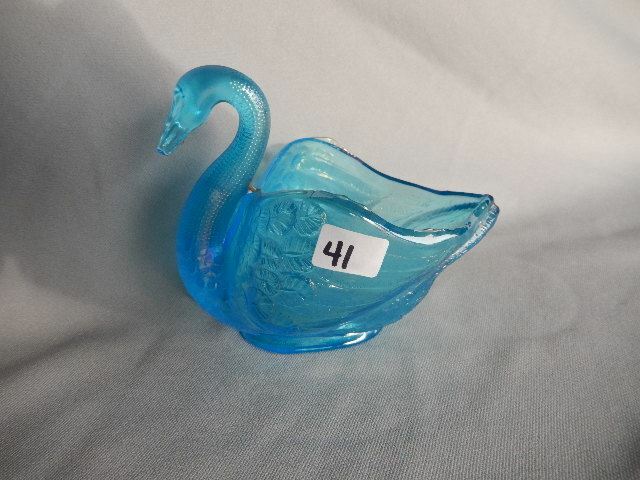 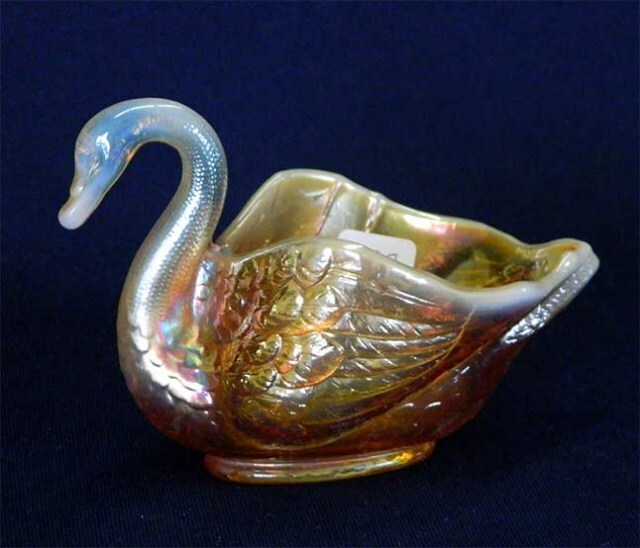 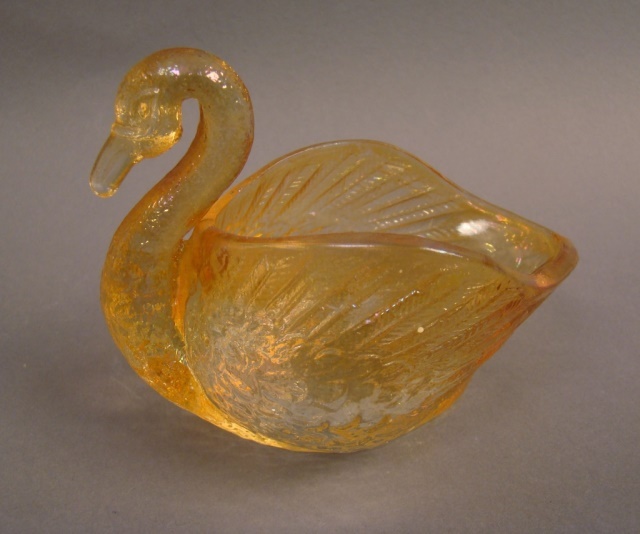 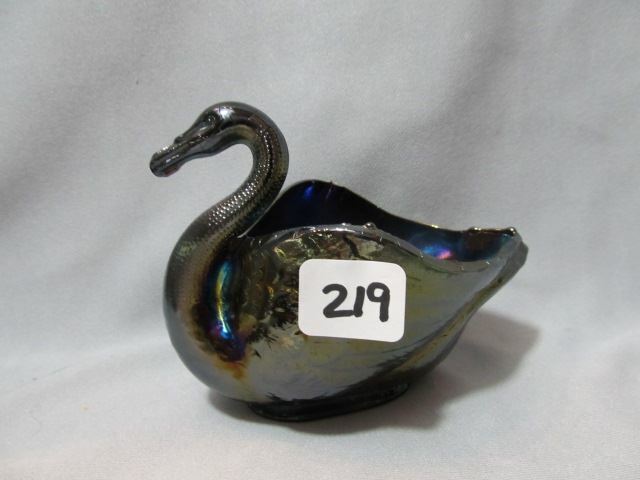 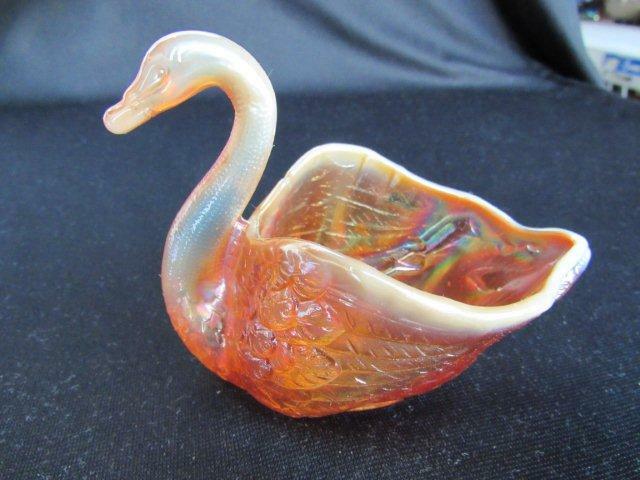 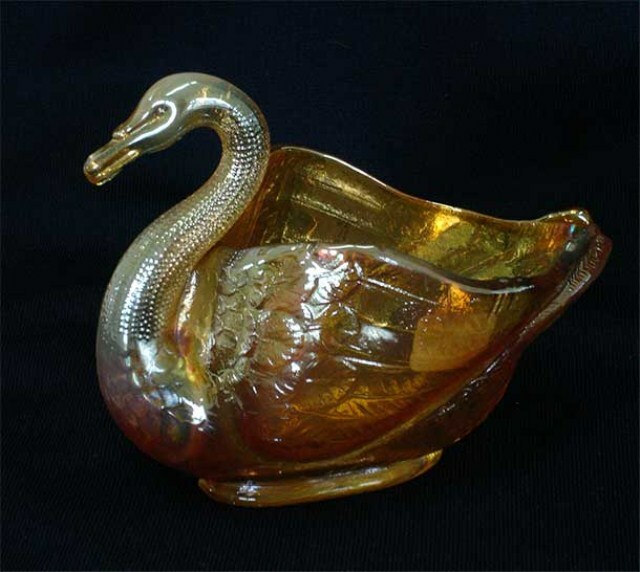 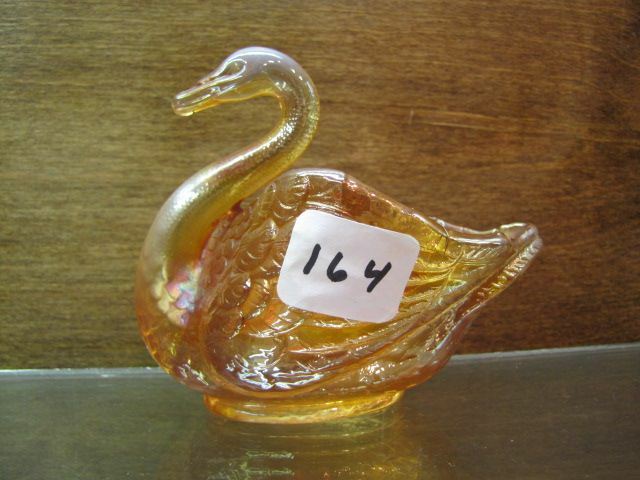 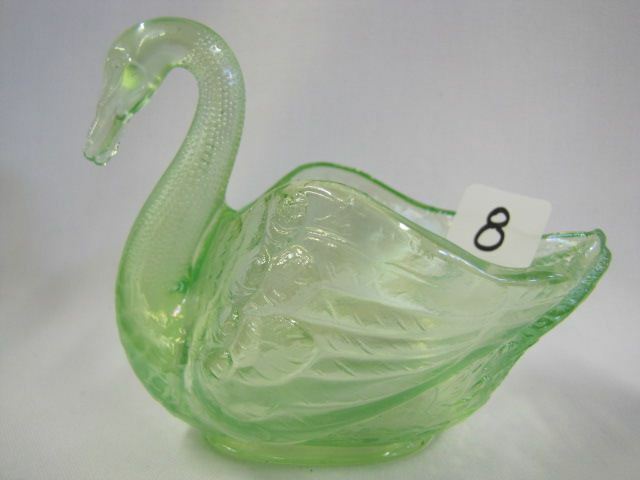 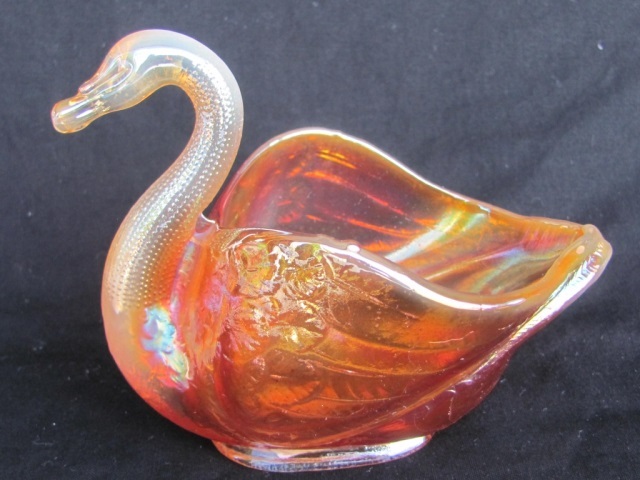 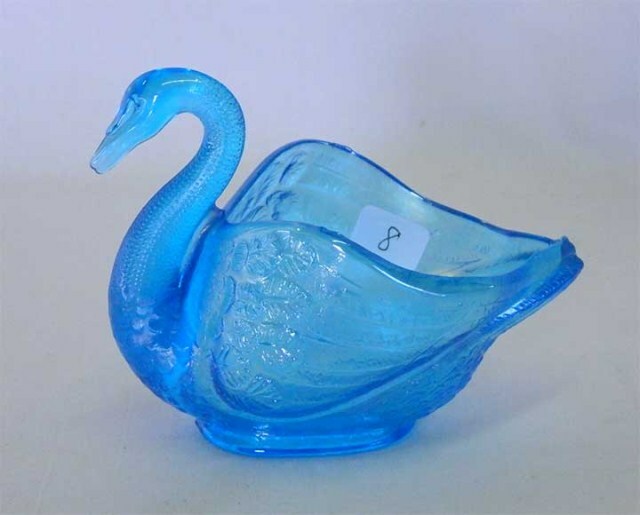 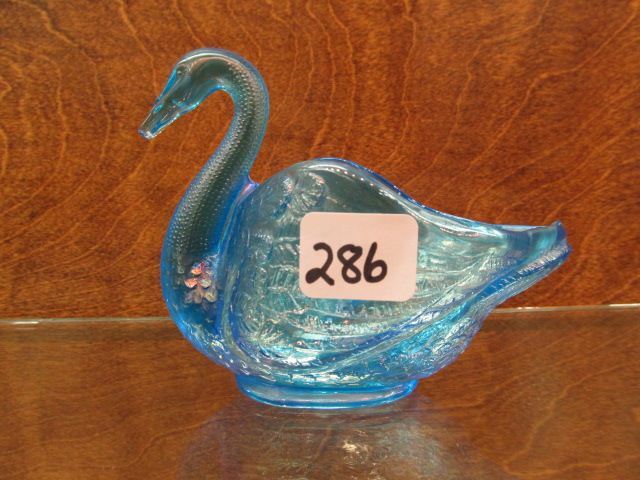 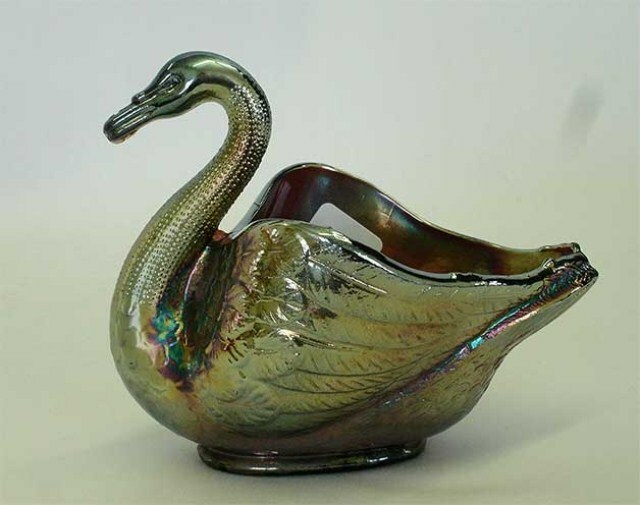 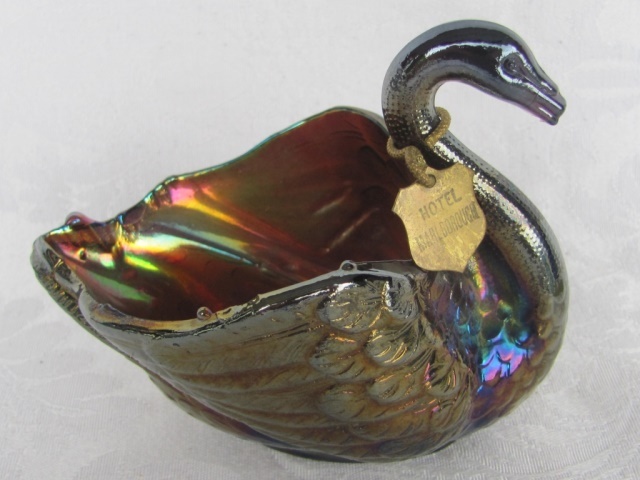 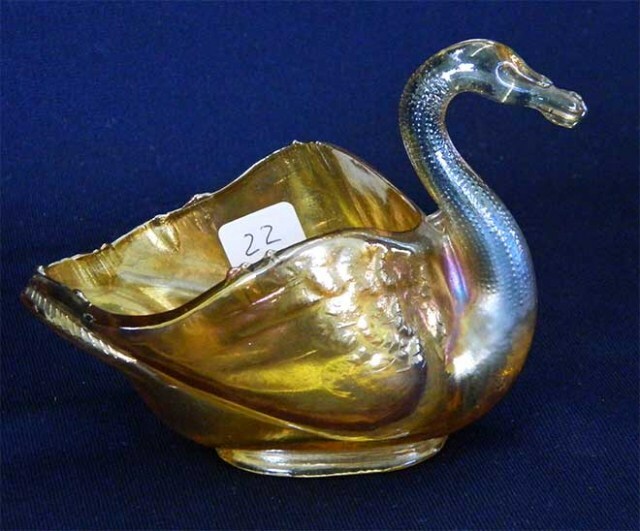 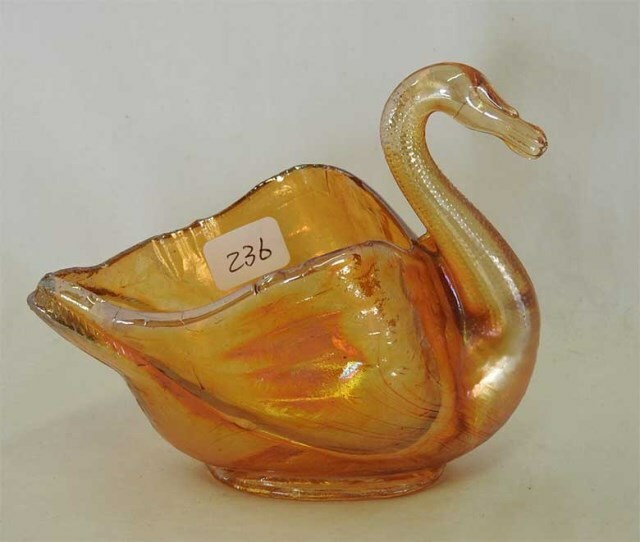 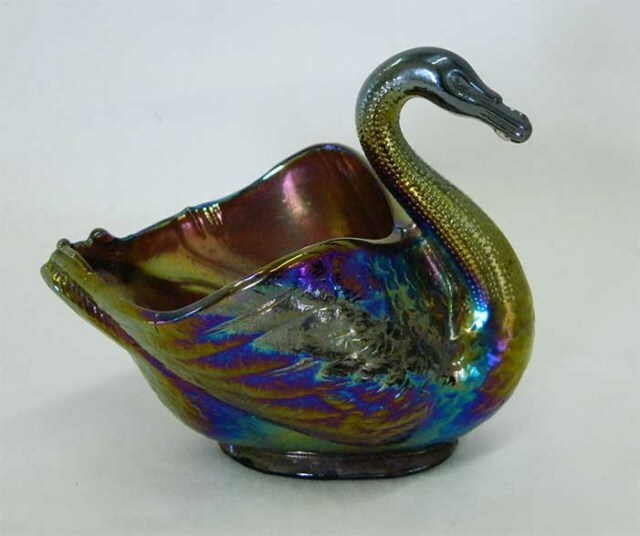 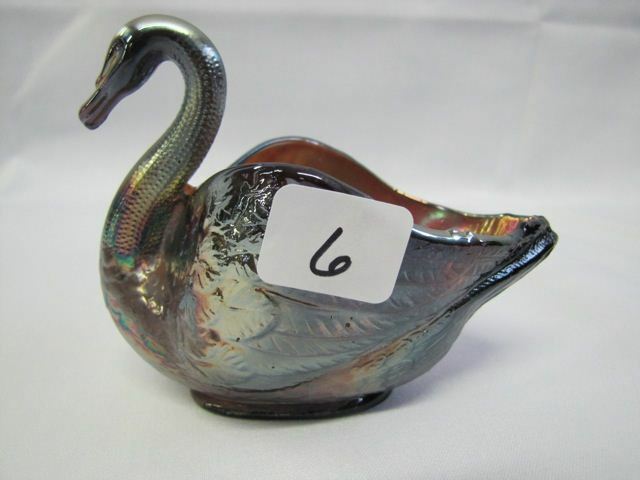 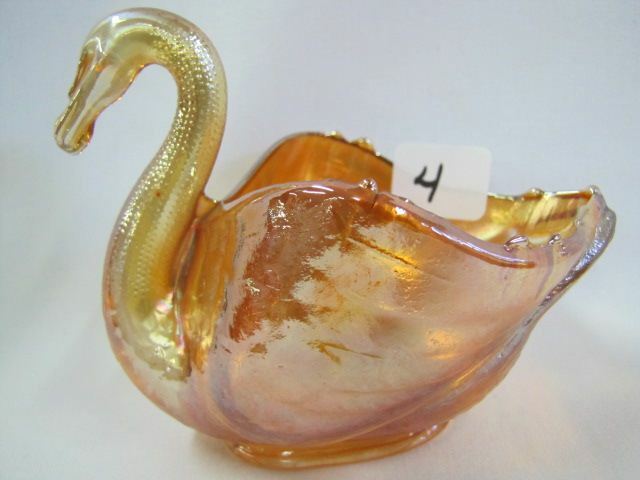 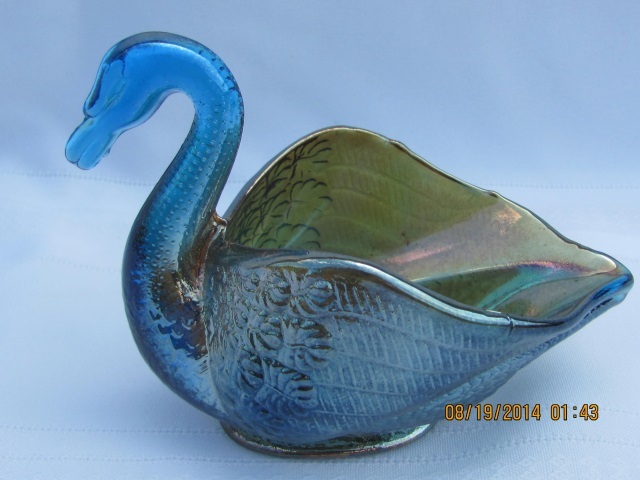 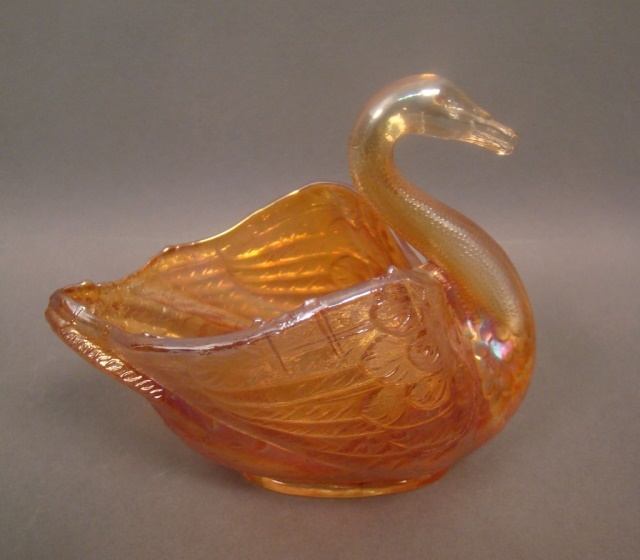 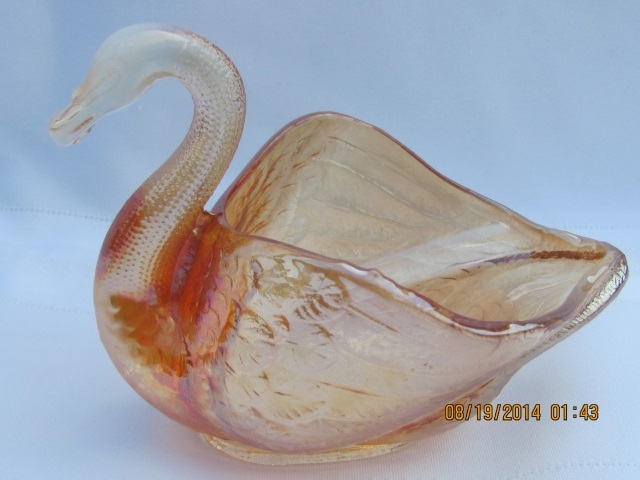 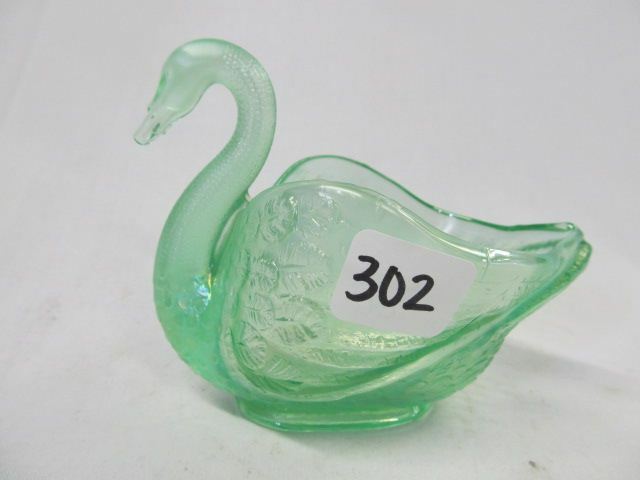 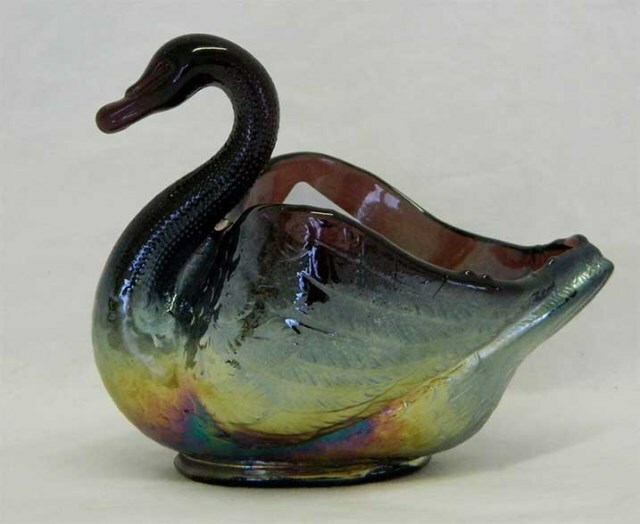 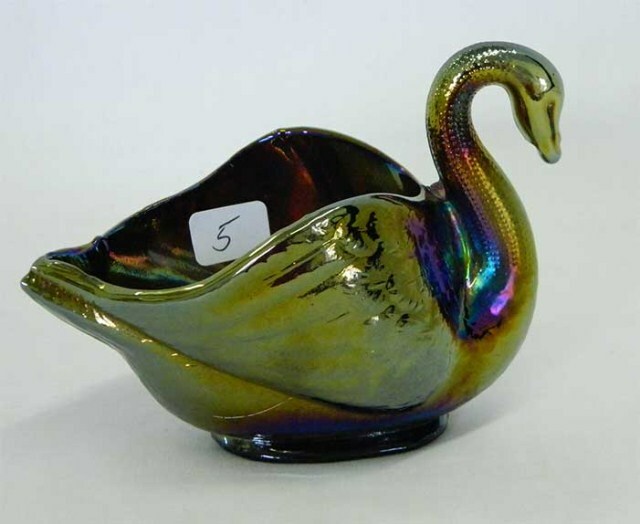 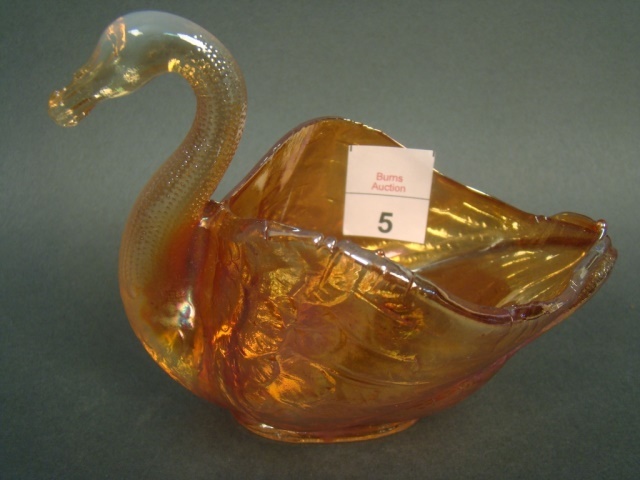 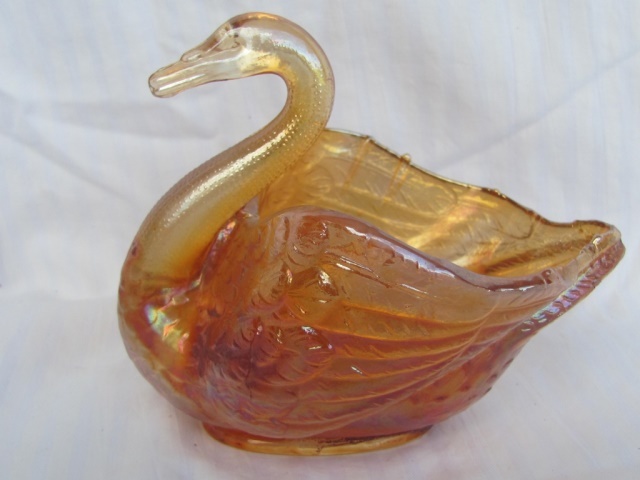 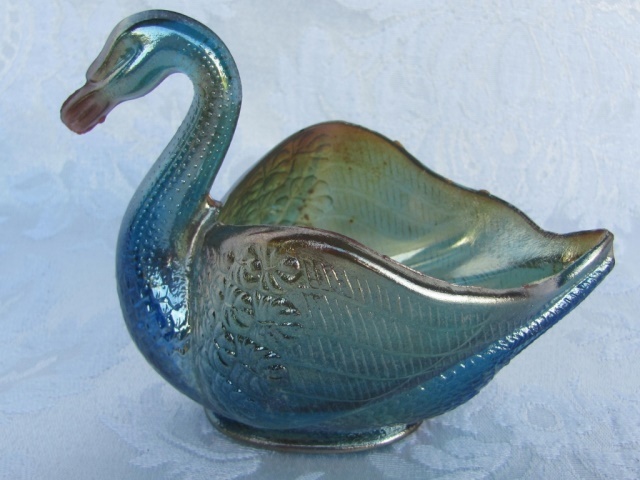 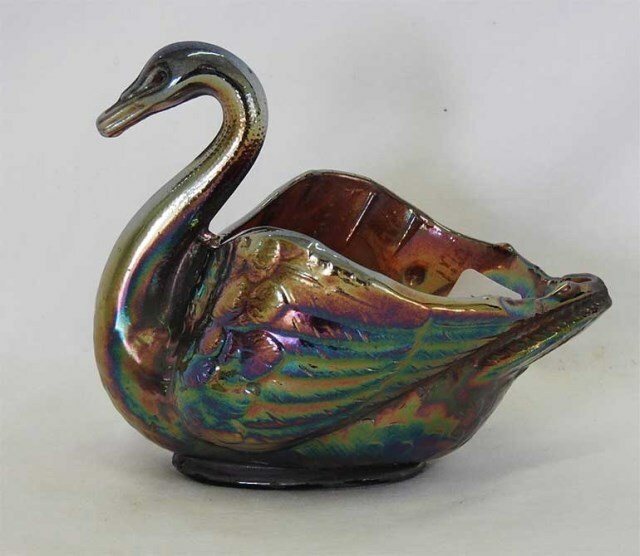 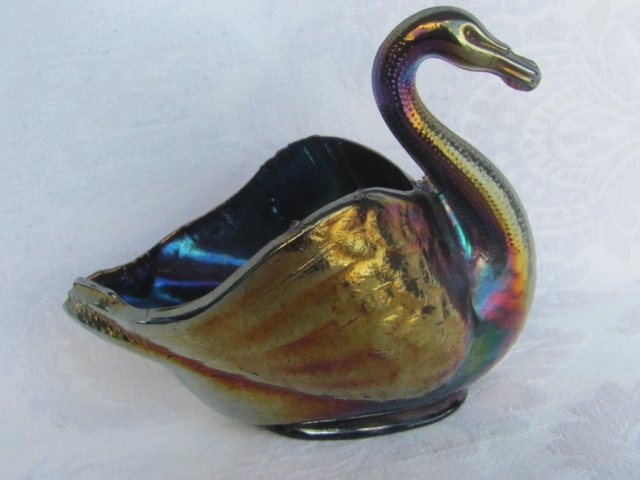 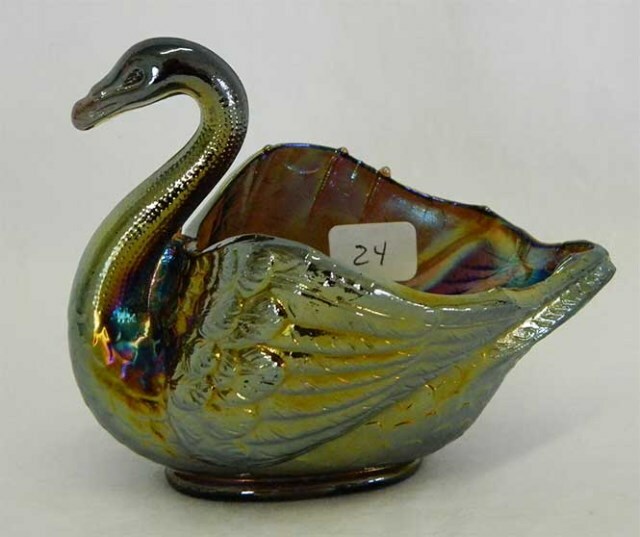 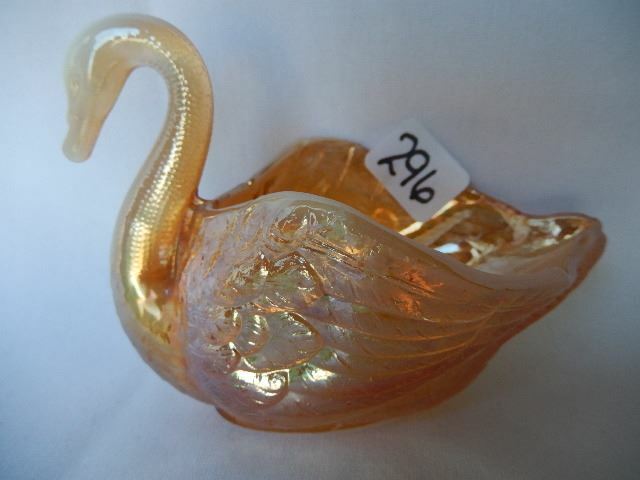 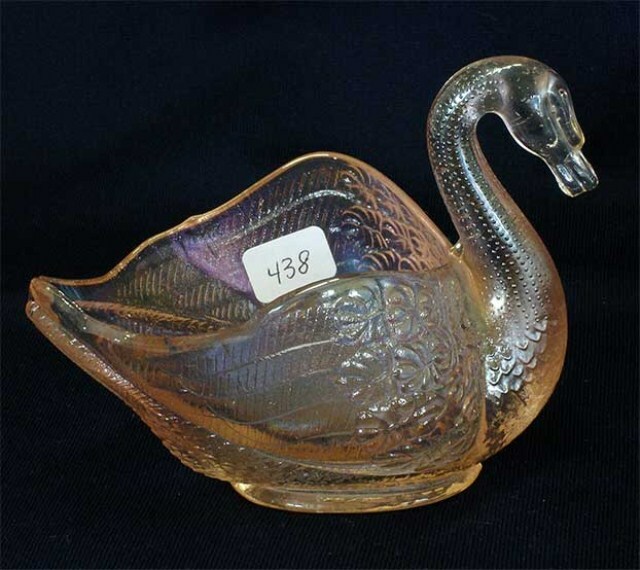 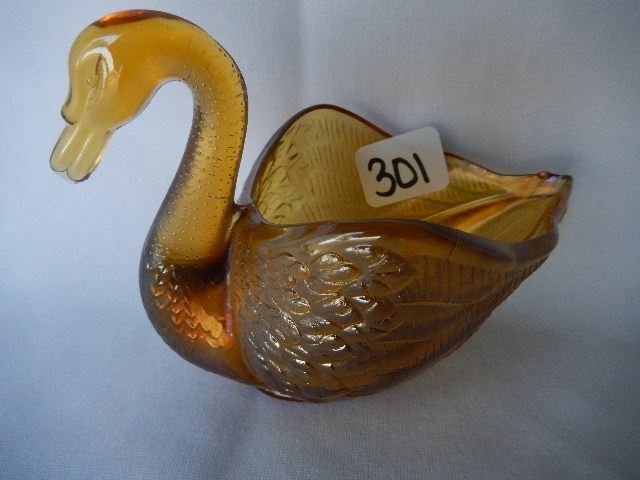 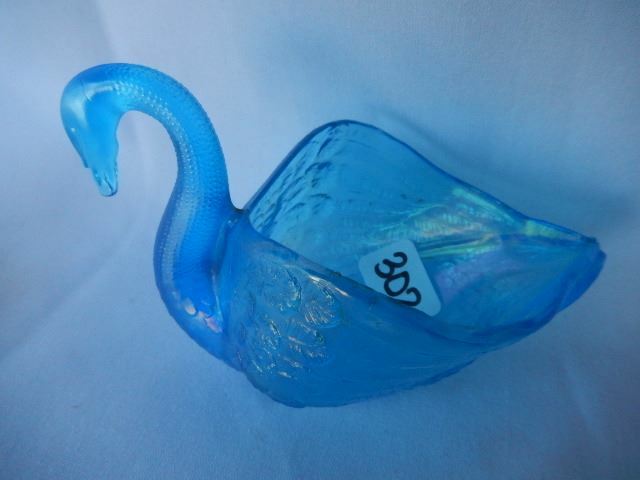 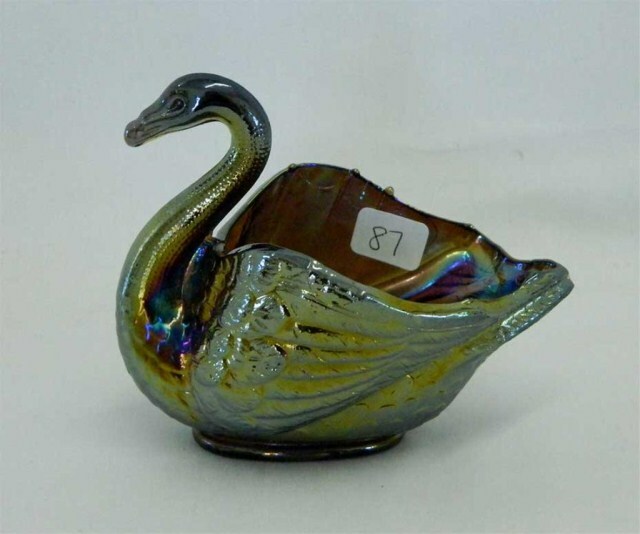 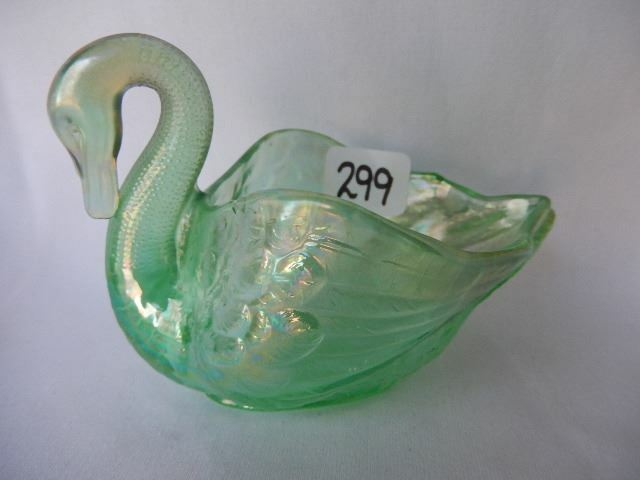 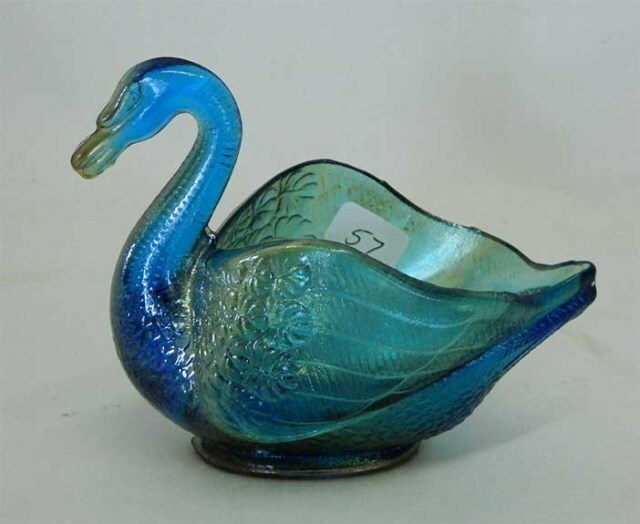 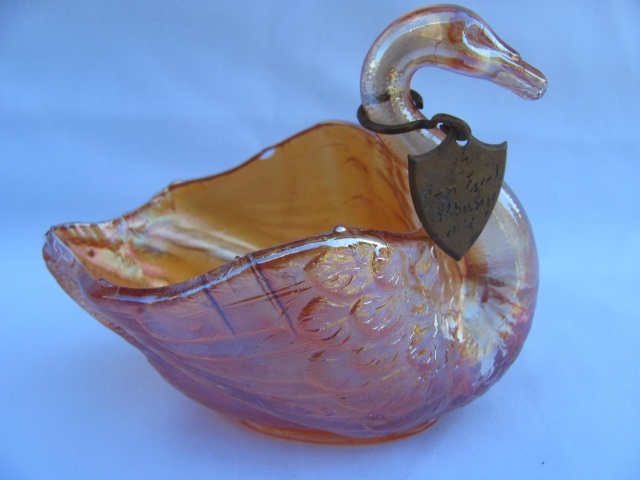 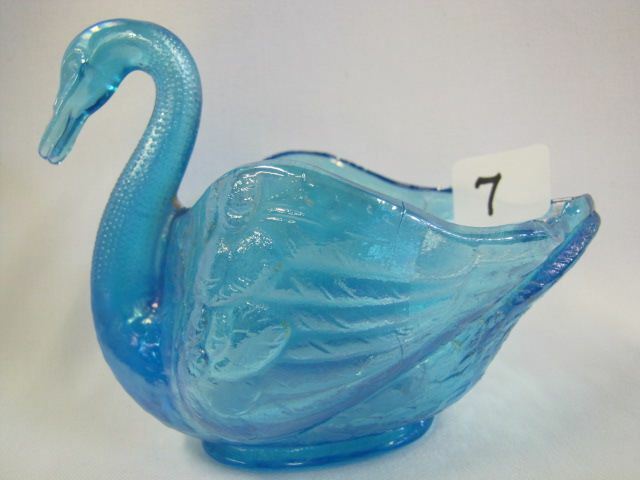 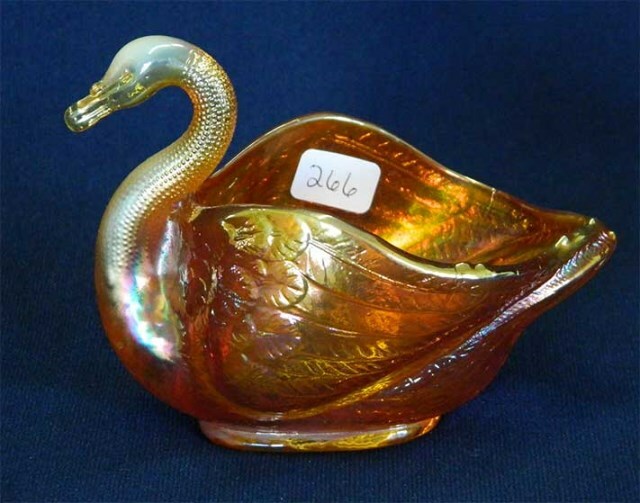 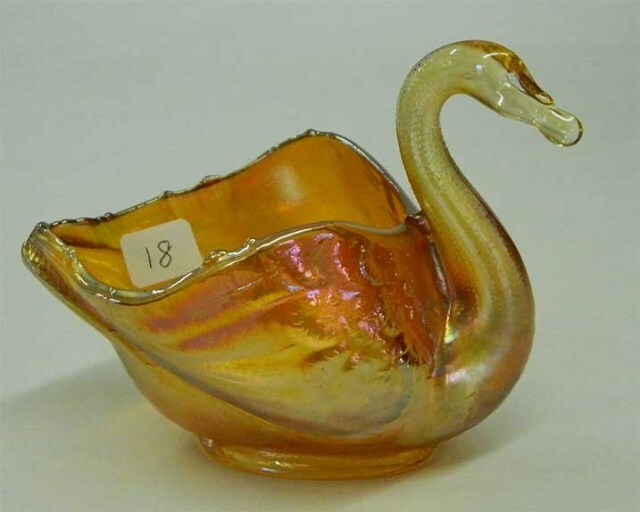 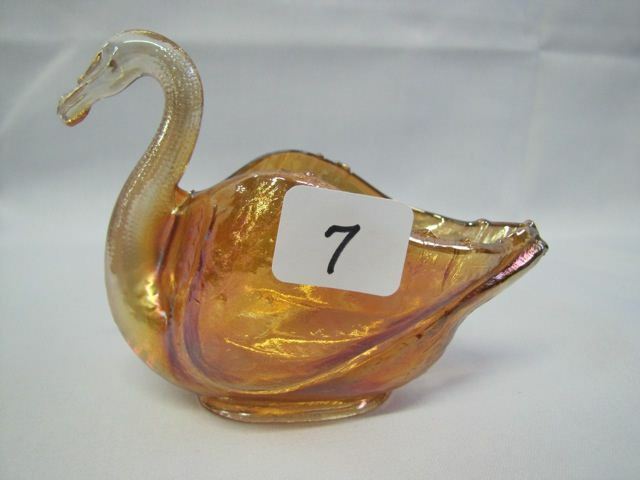 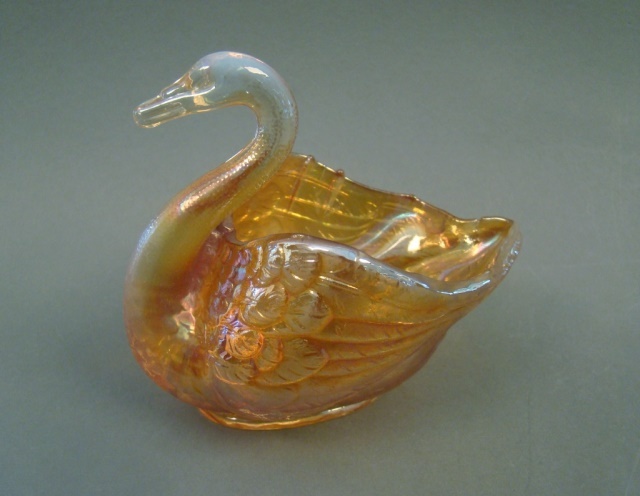 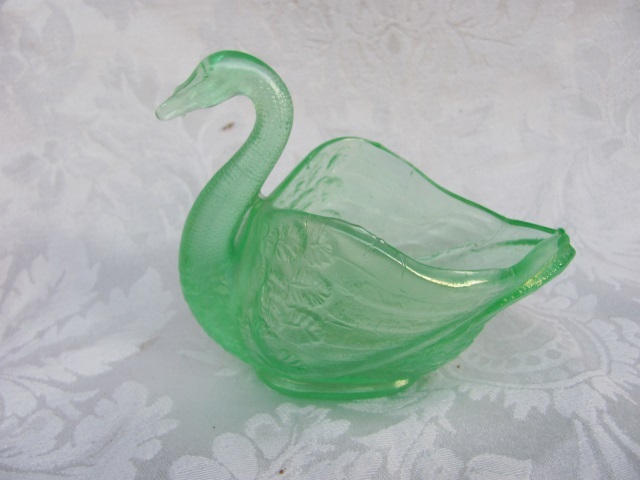 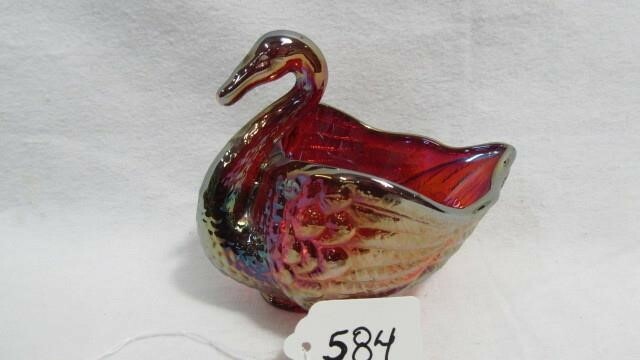 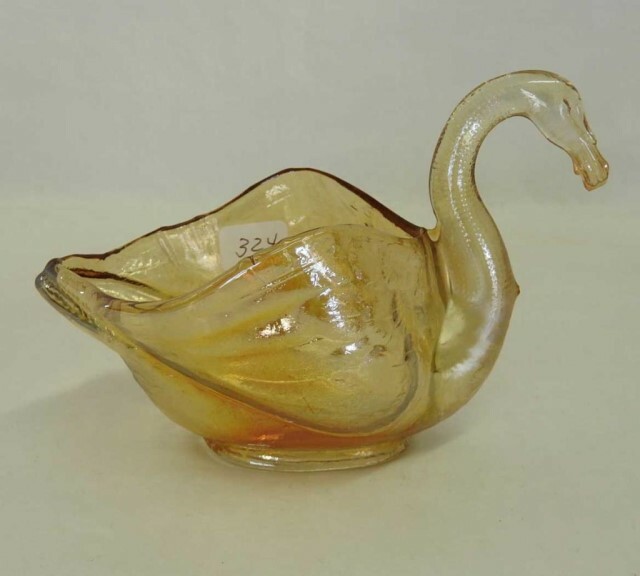 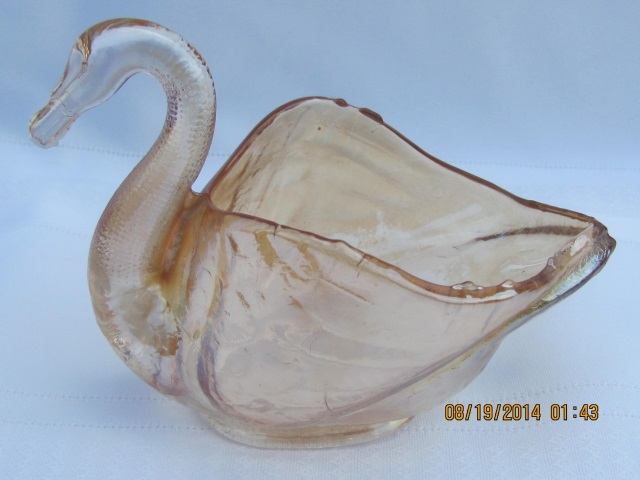 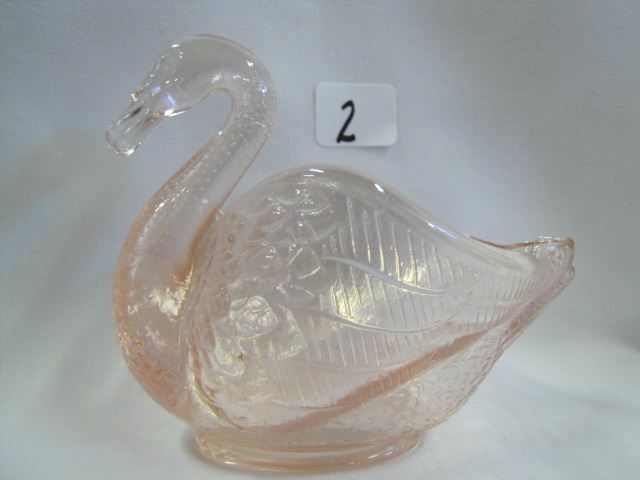 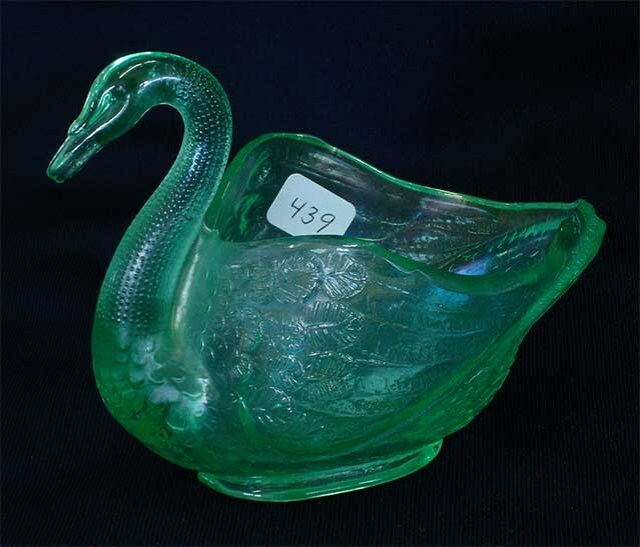 These little swans were made by several companies, with details varying on the necks and wings. 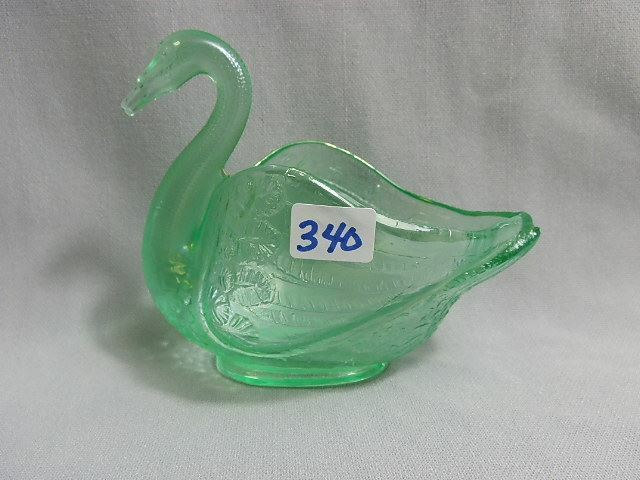 They're usually referred to as salt dishes, although I'm not sure that was the original intent. 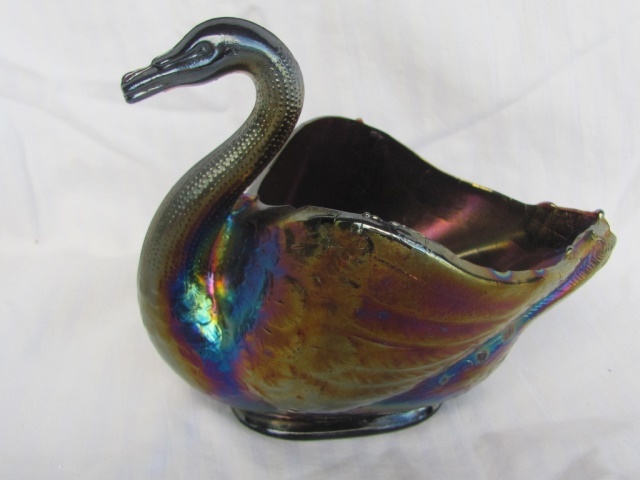 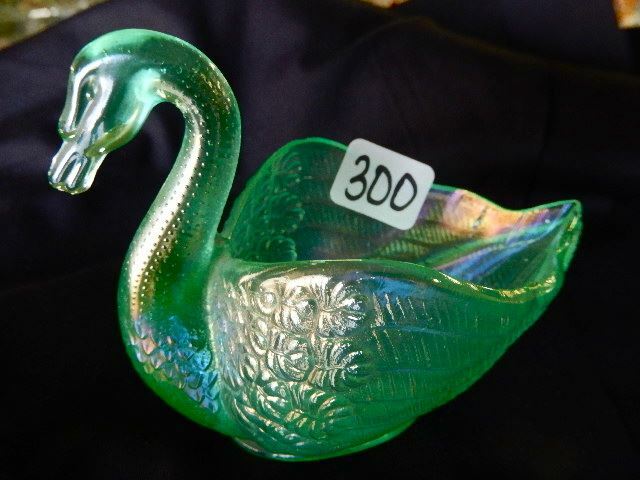 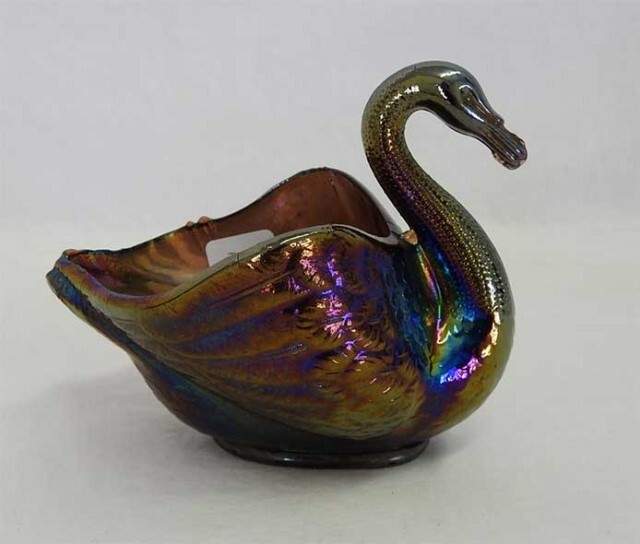 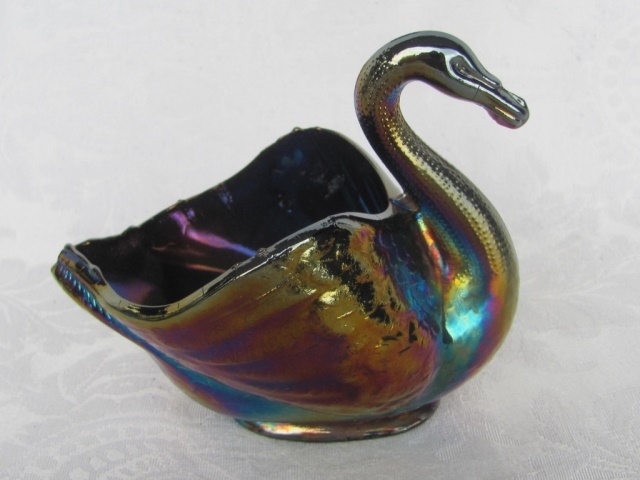 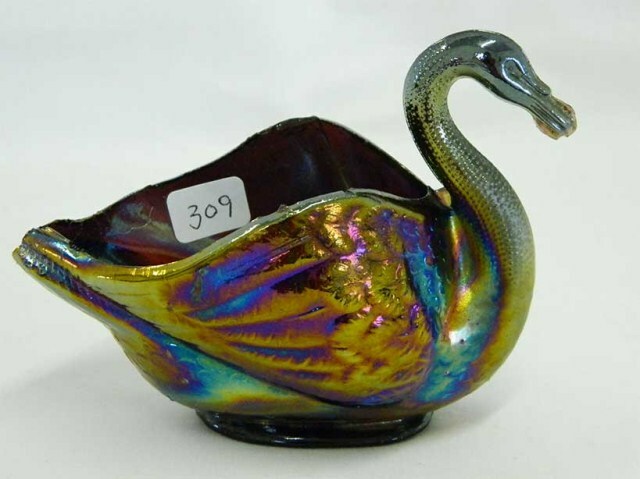 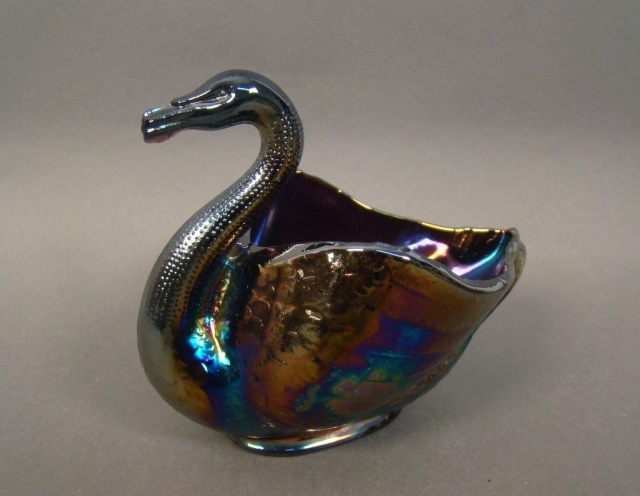 Oddly, some of the colors that are seen most often in other Carnival, such as marigold and amethyst/purple, are quite scarce–while colors that are scarce in other Carnival, such as celeste blue, ice green, and pink, are quite common in these swans. 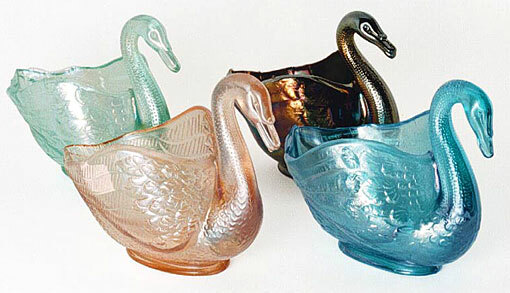 They were also made in uniridized form in many of the same colors, and they have been reproduced.